Ruck, Lindsay. "Michael Lee-Chin". The Canadian Encyclopedia, 29 January 2019, Historica Canada. https://www.thecanadianencyclopedia.ca/en/article/michael-lee-chin. Accessed 24 April 2019. 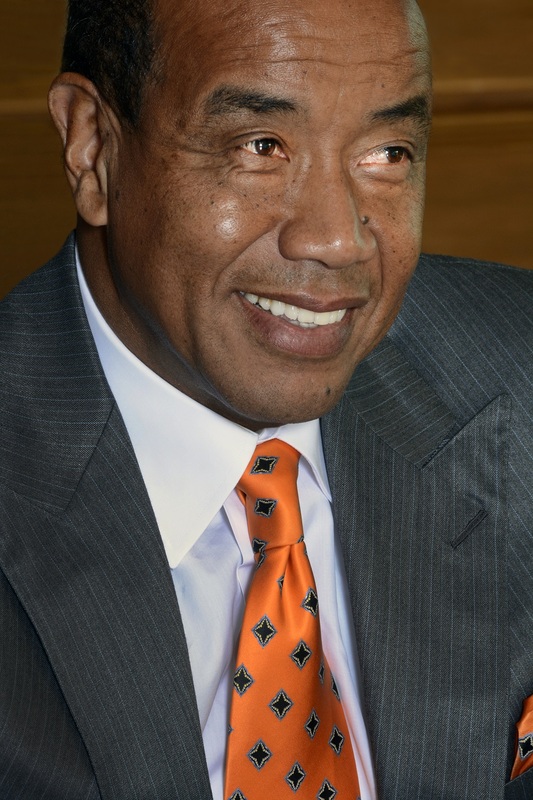 Michael Lee-Chin, businessman, investor and philanthropist (born 3 January 1951 in Port Antonio, Jamaica). Lee-Chin is president and chairman of Portland Holdings, a private investment company. According to Canadian Business magazine, Lee-Chin has an estimated net worth of more than $3.95 billion (as of 2017) and was ranked the 20th wealthiest Canadian. He is also one of the richest Jamaicans. 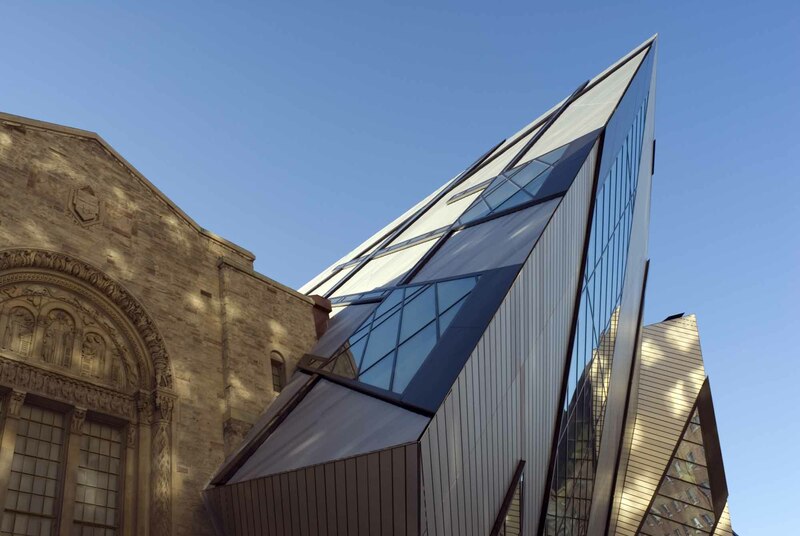 Lee-Chin is also a dedicated philanthropist and has pledged and donated more than $60 million to hospitals, universities and, most notably, the Royal Ontario Museum, where the Michael Lee-Chin Crystal is named in honour of his $30-million pledge. Lee-Chin attended Titchfield High School from 1962 to 1969. In 1965, he got his first job as part of a landscaping crew at Frenchman’s Cove Hotel (now known as Frenchman’s Cove Resort). In 1966, he started a job cleaning the engine room on the Jamaica Queen	cruise ship. After Lee-Chin graduated from high school, he worked as a lab technician in a Jamaican bauxite aluminum plant. In 1970, Lee-Chin travelled to Canada to study civil engineering at McMaster University	in Hamilton, Ontario. He received a scholarship from the Jamaican government to complete his studies and work for the government upon graduation. Lee-Chin graduated in 1974 with a bachelor’s degree in civil engineering and returned to Jamaica. He worked briefly for the Jamaican government as a civil engineer on the Mandela Highway. Since he could not find work in his field, Lee-Chin returned to Canada. In 1977, Lee-Chin became a financial advisor for Investors Group in Hamilton. He worked there for two years and then moved on to become regional manager of Regal Capital Planners. In 1983, Lee-Chin secured a $500,000 loan from the Continental Bank of Canada	to buy stocks from Mackenzie Financial Corporation. After four years, the stock appreciated sevenfold. In 1987, he used the profits to acquire a small mutual fund investment firm called Advantage Investment Counsel (AIC) based in Kitchener, Ontario, for $200,000. The company would go on to grow from $800,000 in holdings in 1983 to more than $15 billion in assets under management in 2001. Since 1987, Lee-Chin has been president and chairman of Portland Holdings, a private investment company. Portland owns a variety of businesses that operate in sectors such as financial services, telecommunications, waste management, tourism, agriculture and media. Michael Lee-Chin modelled his investment strategy on that of billionaire American investor Warren Buffett, CEO of Berkshire Hathaway Inc. Buffett’s buy-and-hold philosophy was heard in AIC’s motto: “Buy, hold and prosper,” and many of Lee-Chin’s companies were also named Berkshire. Following his acquisition of AIC, Lee-Chin set out to develop the Berkshire group of companies, which is comprised of investment planning, a securities dealership and an insurance	services operation. When the company was acquired by Manulife Financia​l Corporation in 2007, Berkshire’s assets exceeded $12 billion. The company had grown to form a network of about 750 financial advisors in 250 Canadian branches. In 2002, Portland acquired 75 per cent interest in National Commercial Bank Jamaica Limited (NCB), and Lee-Chin became its executive chairman. Today, NCB is the largest financial institution in Jamaica. In 2005, he co-founded Columbus International Inc. and acquired the Trident Hotel in Jamaica. In October 2006, Lee-Chin resigned as CEO of AIC and was replaced by Jonathan Wellum, AIC’s chief investment officer and fund manager. The company was later acquired by Manulife Financial Corporation. In 2007, Lee-Chin donated $1 million to the Toronto General & Western Hospital Foundation to support the creation of the Michael Lee-Chin and Family Short Stay Unit. In honour of his mother, Lee-Chin donated almost $4 million to Northern Caribbean University in 2008 to build The Hyacinth Chen School of Nursing, a world-class facility that can accommodate 800 nursing students. In 2014, Lee-Chin donated $10 million to Joseph Brant Hospital in Burlington, Ontario. In 2016, Lee-Chin was appointed chair of the government of Jamaica’s Economic Growth Council. Lee-Chin married Vera Lee-Chin, a Ukranian Canadian he met at university, in 1974. The couple have three children: Michael Jr., Paul and Adrian. The pair officially separated in 1997 and are now divorced. Lee-Chin has twin daughters, Elizabeth and Maria, with his current partner, Sonya Hamilton.